Did, or does God approve of any of this? The ends do not justify the means.. and does the Canadian PM Stephen Harper and the Conservatives now also GIVE approval of all of this too? 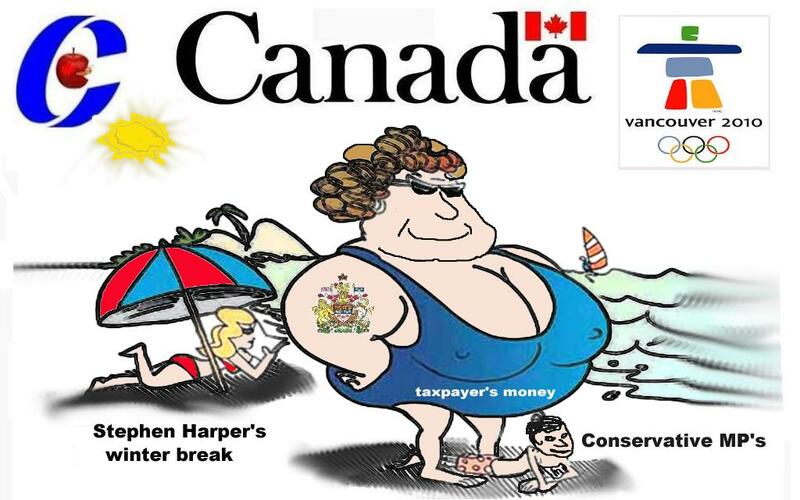 …the Harper government has moved to align Canada with Israel and its staunchest supporters. Canada is now the most “Israel, right or wrong” government in the world, except for the Israeli government itself. Even Barack Obama’s new administration, itself obviously pro-Israel, has uttered a few mild criticisms about settlements in East Jerusalem and the banning of certain trade with Gaza. But not the Harper government. Mum’s been the word.But do Canadians, while of course being supportive of Israel’s existence and security, really want their country to be the most completely aligned with Israel, especially now that it is to be led by a very right-wing coalition that doesn’t believe in a two-state “solution” to the Palestinian problem? So still now what really is needed firstly is not more CHEAP, PRETENTIOUS self regulations, the supposed discipline of their members , or even their ensuring their education, but real INSPECTIONS, EFFECTIVENESS , competency testing. For it is a fact that anything that will put a self regulating body or a Ministry into a negative light will have a built in tendency still to be denied, suppressed, minimized in reality, to be ineffective . Exemplary Public exposure and prosecution of the guilty serves very ones best interest… too often still missing in the PROFESSIONAL BODIES, EVEN IN THE RCMP, police forces, churches, ALL GOVERNMENTS as well it seems too. THERE IS A VERY BASIC COMMON MISCONCEPTION ON HOW TO DEAL WITH ANY PERCEIVED EVEN INJUSTICES, ABUSES, ANYWHERE, IN THE CHURCH AS WELL, BESIDES IMMEDIATELY CALLING THE LOCAL POLICE.. THE NEW TESTAMENT IS CLEAR HOW TO DEAL WITH IT.. COMMUNICATION – AND YOU DON’T FIRST POST IT ALL ON THE NET. First you merely ask the guilty, bad persons personally to repent twice, the first time without a witness, the second time with witnesses THAT you have asked them to repent.. and proof, substantiation is NOT required.. after you have done that you can next post it openly on the net, tell all the others. Next God is fully free to deal with the unrepentant guilty offenders and believe me he will.. I have now been doing for decades too.. I SIMPLY SEND AN EMAIL, I PUT IT INTO CLEARLY WRITING, SO THE GUILTY PARTY CANNOT SAY I DID NOT ASK HIM OR HER TO REPENT. WHETHER THEY ACKNOWLEDGE IT OR NOT TO GOD DOES NOT MATTER. THE POLICE, RCMP, MINISTERS, GOVERNMENT CONSULTANTS THESE DAYS, IMMIGRANT CONSULTANTS TOO IT SEEMS , SEEM TO BE ANOTHER WORD FOR ABUSERS, THIEVES, LIARS CROOKS. SO WE ALL NEED TO DEAL WITH IT MORE EFFECTIVELY NOW TOO. FOR THE SELECT FEW WHILE THE REST WORK TO PAY FOR IT. WHEN THE TAXPAYER’S MONEY IS ABUSED BY THIEVES, ALCOHOLICS, IT IS THE PROGRAMS, SERVICES TO THE POOR AND NEEDY PERSONS THAT ARE GENERALLY FIRST MADE TO PAY FOR IT. WE NEED BETTER BUDGET CONTROLS AND BETTER PUNISHMENT OF THE BAD GUYS TOO. 9 city employees fired in benefits claim fraud Toronto Star – BY THE NUMBERS The city’s fraud and waste hotline received tips leading to findings of wrongdoing in 42 cases. The auditor general highlighted 15 of the 42 cases in his report. Imagine that a professing evangelical Christian Prime Minister of Canada Stephen Harper is stooping so low that he is trying to buy votes with alcohol, beer.. Taxpayer’s money should never, ever be used to buy any alcohol anywhere.. will he also give out free playboys, condoms next too? Now we all do really have freedom of religion, freedom of choice, freedom of speech, the right to be heard now as well.. I clearly do believe in the right of everyone to speak, to speak out as well, and to be equally heard by all, so we can all judge what has been said if it is appropriate and we can next corresponding act upon it, even in the church, in the government, on the internet now too. Clearly some bad people falsely still DO DISALLOW THIS RIGHT… the realy bad persons especially as even I know this for sure as they falsely refuse the whole to be shared even as as to who they are firstly. They respond with a personal attack, inquisition, censorship, lies, slanders, diversions, distortions, instead of facing, dealing with the facts, truths being presented. Confirming to many what they still are really like, immoral, abusive bullies. Some people say we need to turn our cheeks to our abusers and next they will become Christians because we love them is not true.. Jesus loved Judas and he Judas still went to hell.. if we continue with this approach we should le all the bad guys out of prison and they will be converted…. very very unlikely. Yes they the unsaved will see we are Christians by how we Christians do love one another does not mean they will become Christians,, To become a Christian you need to repent and few people are willing to do this. Who wants to give up he pleasures of sin, a bad lifestyle on their own? not many. Jesus told us to preach solely the good news IS NOT TRUE, HE TOLD US TO PREACH THE FULL GOSPEL, THE GOOD AND BAD NEWS, THE BAD NEWS INCLUDES STILL THE REALITY MOST PEOPLE WILL GO TO HELL. THE PROPHETS OFTEN PREACHED MOSTLY THE BAD NEWS..One’s need to repent. Personal Humbleness is one of the basic prerequisite to allow God to personally speak to us. I know that many persons now tend to limit, cripple how God can speak to them, as only being through the Mind, through the Bible, only through others, or through circumstances.. well I also know that the devil can speak to you and me that way now too.. or he devil can send you a supposedly wise person telling you what you should do , what to do. and often rather making it a lot worse. 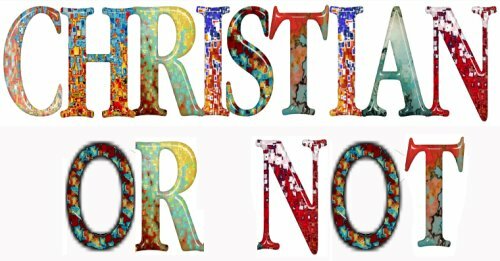 Although I had been a Christian for 15 years already. .I was 35 years old when someone said i could hear God speak to me and boy I was mad.. mad mad.. and I said it was all untrue.. I recognized next that the sprit of God was telling me not to get upset and that God would talk to me this evening, next I was to drive to my favorite spot where i loved to see the mountains views this evening a and which i did.. when i got there God told me to shut up and be quiet for 30 minutes first.. next he said for me to praise the lord.. which i did for 30 minutes.. and then i could hear God talking to me specially.. for about an hour.. he God next told me he had my life planned for me. Now from then on I have learned to talk with God, to pray to him, to share with him my needs, and to discuss them, as well as listen to what he says next..
Now I had send a birthday present my nephew and I had left a part of it out.. God told me I could send it in another Parcel, so next I had sent the other parcel next when I was subsequently told that the parcel was lost in delivery. This surprised me cause as why would God tell me to send it.. But a few weeks later I got a phone call telling me the parcel was found. it was still delivered.. Jesus said my sheep hear my Voice, and the Bible says that you will not go to the left or right unless you hear a confirming voice telling you this is the way walk there in. Some people seem amazed that God can, and will now speak to his children, given the proper conditions being met, but me I am often amazed how is it that so many people cannot hear God, as to what un-confessed, un-repented of sins are obstructing their relationship with him now.. Believe it I do often hear God, Jesus, holy Spirit talking to me in an audible and in audible voices. It brings me great joy always now too. -but we also do need to write it down because our memories tend to be very short. -and we need to share it with others next as well for as we sow more will be given back to us.. If you know beforehand the Bible well you will also know the reality of his revelations which will not contradict the Bible.. When you do, you become tense and get in the way of the Holy Spirit’s movement. It is also when we cease our labors and enter His rest that God is free to flow (Heb. 4:10). Therefore turn your attention toward God in praise and worship, seeking His face. As you wait before God, fixing your gaze solely on Jesus, in a humble state of mind and become all still before him, fixing your gaze on Jesus, God is present with you, you will become more real to you and you too will discover that you are indeed dialoguing with God. An example of revelation knowledge is when you are reading the Bible and a verse leaps off the page, hits you between the eyes, and God says, “This is for you right now.” These are precious experiences for the believer. However, for many, they do not happen often enough. There are seven things I do which allow me the privilege of receiving revelation knowledge every time I read the Bible. Truth and insights leap off the page and an understanding of how they are to adjust my life permeates my spirit and soul. I love this experience and hunger for it every time I read the Scriptures. That is why I prepare myself by doing the following seven things. Prayerfully reflect on these steps and determine which ones you do and don’t use. 1. LORD, CLEANSE ME BY YOUR BLOOD: Since receiving divine revelation is at the heart of biblical meditation, you must prepare yourself to receive from the Holy Spirit by repenting and being cleansed by the blood of the Lamb. You must be obedient to previous revelations from God (Matt. 7:6), and confess any sin in your life, so you are not cut off from ongoing revelation (Is. 59:1,2; I Jn. 1:9). 2. LORD, GRANT ME A TEACHABLE ATTITUDE: Revelation is given to those who maintain an attitude of humility, and it is withheld from the proud and the arrogant. So keep an open, humble attitude before God, allowing Him the freedom to shed greater light on any ideas you currently hold and to alter them as He sees fit (Jas. 4:6; II Pet. 1:19). 3. LORD, I WILL NOT USE MY FACULTIES MYSELF: You can do nothing of your own initiative but only what you hear and see by the Spirit (Jn. 5:19,20,30). You do not have a mind to use, but a mind to present to God so He can use it and fill it with anointed reason and divine vision (Prov. 3:5-7; Rom. 12:1,2). If you use your mind yourself, it is a dead work (Heb. 6:1,2). 4. LORD, I PRAY THAT THE EYES OF MY HEART MIGHT BE ENLIGHTENED: Slow down as you read, mulling the text over and over in your heart and mind, praying constantly for God to give you a spirit of wisdom and revelation in the knowledge of Him (Eph. 1:17,18; Ps. 119:18). 5. LORD, I PRESENT THE ABILITIES TO REASON AND TO IMAGINE TO YOU TO FILL AND FLOW THROUGH BY YOUR SPIRIT: Meditation involves presenting your faculties to God for Him to fill and use. These include your left-brain reasoning capacities as well as your right-brain visual capacities. Look for the river of God (i.e. “Spirit flow”) to guide and fill both hemispheres, granting you anointed reasoning and dream and vision (Jn. 7:37-39). Music can assist you, as can muttering, speaking, and writing as you go through the discovery process (II Kings 3:15). 6. LORD, SHOW ME THE SOLUTION TO THE PROBLEM I AM FACING: Focused attention brings additional energies of concentration of heart and mind, which help release revelation. For example, note the difference between a ray of sunlight hitting a piece of paper, and sunlight going through a magnifying glass to hit a piece of paper. The focused energycreates a ray so concentrated that the paper bursts into flames. When you have a hunger to master a new understanding and discipline, that hungry and searching heart will cause you to see things you would not normally see (Matt. 5:6). 7. THANK YOU, LORD, FOR WHAT YOU HAVE SHOWN ME: Realizing that the revelation came from the indwelling Holy Spirit, give all the glory to God for what has been revealed (Eph. 3:21). When you write or type out a verse, you discover words which you otherwise might have missed. Therefore, I write out verses which I know are key truths for my life. I pray over them, diagram them, analyze them, meditate on them. That is why I have written many of my books. I write so I can learn, so I can put truths I am understanding in my own words and in a framework which is meaningful for me. The following is the law which God gave for new kings who had just been crowned and were coming to sit upon their throne for the first time: “Now it shall come about when he sits on the throne of his kingdom, he shall write for himself a copy of this law on a scroll in the presence of the Levitical priests” (Deut. 17:18). Since we are kings and priests, are we to do any less (I Pet 2:9)? Let us make the writing out of Scriptures an important part of our lives. voice. Finally, there is a deep hunger within us all to commune with God, and hear Him speak within our hearts.As a born-again, Bible-believing Christian, I struggled unsuccessfully for years to hear God’s voice. I prayed, fasted, studied my Bible and listened for a voice within, all to no avail. There was no inner voice that I could hear! God set me aside for a year to study, read, and experiment in the area of learning to hear His voice. During that time, the Lord taught me four keys that opened the door to two-way prayer. I have discovered that not only do they work for me, but they have worked for many thousands of believers who have been taught to use them, bringing tremendous intimacy to their Christian experience and transforming their very way of living. This will happen to you also as you seek God, utilizing the following four keys. The key are all found in Habakkuk 2: 1,2. I encourage you to read this passage before going on. Key #1 – God’s voice in our hearts may sound like a flow of spontaneous thoughts. ( confused also by the devil’s obstructions sometimes) Therefore, when I tune to God solely ( In prayer I first do ask the devil to stop talking to me, and I ask God alone to speak to me, God next he answers this prayer, I tune to spontaneity. The Bible says that the Lord answered me and said…(Hab. 2:2). Habakkuk knew the sound of can and does speak that way at times. How ever, I have found that for most of us, most of the time, God’s inner voice comes to us first as an interrupted spontaneous thoughts, visions, feelings, or impressions, (since we tend top have no room for god and often are busy pursing our own selfish, self centered ways and thoughts) . For example, haven’t each of us had the experience of driving down the road and having a thought come to us to pray for a certain person? We generally acknowledge this to be the voice of God calling us to pray for that individual. My question to you is, “What did God’s voice sound like as you drove in your car? Was it an inner, audible voice, or was it a spontaneous thought that lit upon your mind?” Most of you would say that God’s voice came to you as a spontaneous thought.So I thought to myself, “Maybe when I listen for God’s voice, I should be listening for a flow of spontaneous thoughts. Maybe spirit-level communication is received as spontaneous thoughts, impressions, feelings, and visions.” Through experimentation and feedback from thousands of others, I am now convinced that this is so. The Bible confirms this in many ways. The definition of paga, the Hebrew word for intercession, is “a chance encounter or an accidental intersecting.” When God lays people on our hearts for intercession, He does it through paga, a chance-encounter thought, accidentally intersecting our thought processes. Therefore, when I tune to God, I tune to chance-encounter thoughts or spontaneous thoughts. When I am poised quietly before God in prayer, I have found that the flow of spontaneous thoughts that comes is quite definitely from God. Key #2 – I must learn to still my own thoughts and emotions, so that I can sense God’s flow of thoughts and emotions within me. Habakkuk said, “I will stand on my guard post and station myself on the rampart…” (Hab. 2:1). Habakkuk knew that in order to hear God’s quiet, inner, spontaneous thoughts, he had to first go to a quiet place and still his own thoughts and emotions. Psalm 46:10 encourages us to be still, and know that He is God. There is a deep inner knowing (spontaneous flow) in our spirits that each of us can experience when we quiet our flesh and our minds.I have found several simple ways to quiet myself so that I can more readily pick up God’s spontaneous flow. Loving God through a quiet worship song is a most effective means for me (For God inhabits the praises of his people, his nearness is made more real, note II Kings 3:15). It is as I become still (thoughts, will, and emotions) and am poised before God that the divine flow is realized. Therefore, after I worship quietly and then become still, I open myself for that spontaneous flow. If thoughts come to me of things I have forgotten to do, I write them down and then dismiss them. If thoughts of guilt or unworthiness come to my mind, I repent thoroughly, receive the washing of the blood of the Lamb, and put on His robe of righteousness, seeing myself spotless before the presence of God (Is. 61:10; Col. 1:22). As I fix my gaze upon Jesus (Heb. 12:2), be coming quiet in His presence, and sharing with Him what is on my heart, I find that two-way dialogue begins to flow. Spontaneous thoughts flow from the throne of God to me, and I find that I am actually conversing with the King of Kings. It is very important that you become still and properly focused if you are going to receive the pure word of God. If you are not still, you will simply be receiving your own thoughts. If you are not properly focused on Jesus, you will receive an impure flow, because the intuitive flow comes out of that upon which you have fixed your eyes. Therefore, if you fix your eyes upon Jesus, the intuitive flow comes from Jesus. If you fix your gaze upon some desire of your heart, the intuitive flow comes out of that desire of your heart. To have a pure flow you must first of all become still, and secondly, you must carefully fix your eyes upon Jesus. Again I will say, quietly worshiping the King, and then receiving out of the stillness that follows quite easily accomplish this. Key #3 – As I pray, I fix the eyes of my heart upon Jesus, seeing in the spirit the dreams and visions of Almighty God. We have already alluded to this principle in the previous paragraphs; however, we need to develop it a bit further. Habakkuk said, “I will keep watch to see,” and God said, “Record the vision” (Hab. 2:1,2). It is very interesting that Habakkuk was going to actually start looking for vision as he prayed. He was going to open the eyes of his heart, and look into the spirit world to see what God wanted to show him. This is an intriguing idea.I had never thought of opening the eyes of my heart and looking for vision. However, the more I thought of it, the more I realized this was exactly what God intends for me to do. He gave me eyes in my heart. They are to be used to see in the spirit world the vision and movement of Almighty God. I believe there is an active spirit world functioning all around me. is world is full of angels, demons, the Holy Spirit, the omnipresent God, and His omnipresent Son, Jesus. There is no reason for me not to see it, other than my rational culture, which tells me not to believe it is even there and provides no instruction on how to become open to seeing this spirit world. The most obvious prerequisite to seeing is that we need to look. Daniel was seeing a vision in his mind and he said, “I was looking…I kept looking… I kept looking” (Dan. 7:2,9,13). Now as I pray, I look for Jesus present with me, and I watch Him as He speaks to me, doing and saying the things that are on His heart. Many Christians will find that if they will only look, they will see. Jesus is Emmanuel, God with us (Matt. 1:23). It is as simple as that. You will see a spontaneous inner vision in a manner similar to receiving spontaneous inner thoughts. You can see Christ present with you in a comfortable setting, because Christ is present with you in a comfortable setting. Actually, you will probably discover that inner vision comes so easily you will have a tendency to reject it, thinking that it is just you. (Invalid Doubt is Satan’s most effective weapon against the Church.) However, if you will persist in recording these visions, your doubt will soon be overcome by faith as you recognize that the content of them could only be birthed in Almighty God.God continually revealed Himself to His covenant people using dream and vision. He did so from Genesis to Revelation and said that, since the Holy Spirit was poured out in Acts 2, we should expect to receive a continuing flow of dreams and visions (Acts 2:1-4,17). Jesus, our perfect Example, demonstrated this ability of living out of ongoing contact with Almighty God. He said that He did nothing on His own initiative, but only that which He saw the Father doing, and heard the Father saying (Jn. 5:19,20,30). What an incredible way to live! Is it actually possible for us to live out of the divine initiative as Jesus did? A major purpose of Jesus’ death and resurrection was that the veil be torn from top to bottom, giving us access into the immediate presence of God, and we are commanded to draw near (Lk. 23:45; Heb. 10: 19-22). Therefore, even though what I am describing seems a bit unusual to a rational twentieth-century culture, it is demonstrated and described as being a central biblical teaching and experience. It is time to restore to the Church all that belongs to the Church. Because of their intensely rational nature and existence in an overly-rational culture, some will need more assistance and understanding of these truths before they can move into them. They will find this help in the book Communion With God by the same authors. Key #4 – Journaling, the writing out of our prayers and God’s answers, provides a greater new freedom in hearing God’s voice. Many academic scholars study the Bible and they still fail at it drastically. 1. Is nowhere endorsed in Scripture (II Tim. 2:15 is a mis-translation in the KJV Bible). 2. Is self in action (Humanism – a false god). 3. Is self using reason (Rationalism – a false god). at odds with the purposes of God (Jn. 18:10,11). 1. Gal. 2:20 – I resurrect self, which no longer lives. 2. Rom. 12:1 – I am using my faculties rather than presenting them to God to use. 3. Is. 1:18 – I’m reasoning, rather than reasoning together with God. 1. Is endorsed 18 times in the KJV Bible. 2. Is God in action within the individual. 3. Is God granting revelation through the heart and mind which has been yielded to Him. 4. Results in wisdom from above – pure, peaceable, gentle (Jas. 3:17). 1. Gal. 2:20 – I let Christ live through me. 2. Rom. 12:1 – I am yielding my outer faculties to the indwelling Spirit (to “flow” – Jn. 7:38). 3. Is. 11:2 When reasoning together with God, I receive a spirit of wisdom and understanding and knowledge. – Visit www.cwgministries.org for many more free articles, free downloadable books and additional information on hearing God’s voice. So did you start your journey with God in full, or are you still lost, in the wilderness? still in un-confessed, un-repented sins, self centered, selfishly doing your own thing. Trying wrongfully to do it in your own strength. Latter Rain (Christian Church) Movement – The real latter day saints.. The Latter Rain Movement also now is the Pentecostalism Biblical teaching that the Lord is pouring out His Spirit again, as He did at Pentecost, and equipping the Holy Spirit filled believers to do his will . The term “latter rain” was first used early in the history of Pentecostalism, when David Wesley Myland wrote a book called Latter Rain Songs in 1907. Three years later, Myland wrote The Latter Rain Covenant, a defense of Pentecostalism in general. In 1948, a “revival” broke out in Saskatchewan, Canada, and the teachings of the Latter Rain movement were clarified. Those involved in the revival were convinced that they were on the verge of a new era, one in which the Holy Spirit would demonstrate His power in a greater way than the world had ever seen. Not even the age of the apostles, they said, had witnessed such a movement of the Holy Spirit. Here 28/30 pastor’s relatives were on the church payroll.. and lying, steal, adultery was also common even amongst the Pastors.. I CAUGHT ONE OF THEIR PASTORS RENTING WORLDLY VIDEOS. EACH PERSON CAN BE A DR JEKYLL OR A MR HYDE CONCURRENTLY, A GOOD PERSON AT ONE TIME AND OTHER BAD PERSON NEXT TOO IT DEPENDS UPON WHAT PART OF YOU YOU NOW DO ALLOW TO DOMINATE, INFLUENCE, CONTROL YOU. WE CAN WALK IN THE FLESH OR IN THE HOLY SPIRIT. We can walk humbly or walk in a false pride… AND THE RESULTS WILL VARY TOO. These third wave named Pentecostal Ministers are the crooks, thieves, liars who use the Church, Gospel to steal God’s money for themselves. they use a sensationalized approach of presenting the gospel. They do it cause it attracts visitors, followers and increases their incomes. (1 Pet 5:3 KJV) Neither as being lords over God’s heritage, but being ensamples to the flock. The International Coalition of Apostles headed by C. Peter Wagner is a superficial, pretentious approach to the reality of real Apostleship and the related gifts of the Holy Spirit.. If you let any of preachers alone tell you what is the Gospel truth and what you should believe you likely will end up going to hell, since all preachers are imperfect men, and all men tend to still lie as well and too often still for various reasons too. I serve Jesus and not mere man, and Jesus is always first for me. I thank God that while I as a sinner am still totally helpless to be delivered from my sins here one earth, but Jesus died for them and forgave them when I admitted them, asked for his forgiveness. Should should we all, all pastors, included. Many people write half truths, these half truths still do not make liars into honest men.. So far nothing has caused me to change my views on the subject. For clarification in discussion of the Latter Rain a distinction should be made between: *The Latter Rain Revival (1947-1952) *The Latter Rain Movement (1952-1960s) *Those persons next influenced by the Latter Rain. The Latter Rain Movement had its beginnings in the years following World War II. It was contemporary with the evangelical awakening which was starting with Billy Graham at the forefront, as well as the Healing Revival with Oral Roberts, Jack Coe, and William Branham at the forefront. Although William Branham was never a part of the Latter Rain as such, he was revered by its leaders. It had in fact been a Branham meeting which triggered the start of the Latter Rain. Several Pentecostal leaders of a small orphanage outside of Saskatoon, Saskatchewan, after visiting the meeting got a vision for a different dimension of Christianity and began to fast and pray in search of it. Later that year, revival events occurred. News quickly swept across Canada and the United States, influencing many Pentecostal believers. (This explains why it is found in Western Canada.. where it competes directly with the Christian & Missionary Alliance Corporation too. The Western Canada Alliance Churches sadly are known for preaching Pentecostalism but not practicing, living it now too. See the many posts about the bad Alliance. Because of its grassroots and unstructured nature, history may never know the breadth of its influence. As the revival itself died down after a few years, those who had been changed by the doctrine formed various groups which came to become known as “The Latter Rain (Movement)”. The following list includes some representative leaders of various branches, both past and present. *George Warnock (who had been Ern Baxter’s secretary), wrote “The Feast of Tabernacles” which became very influential not only for its view of the feasts but for its approach to the Scriptures. One identifiable mark of those influenced by the Latter Rain is their spiritual hermeneutic. *George Hawtin and his brother Ern, were key in the early spread of the movement. They traveled widely, and as they traveled the spirit and influence of the Latter Rain caught on. *A. Earl Lee from southern California was one of the fathers of the movement in Southern California. He had previously been involved with Aimee Semple McPherson..
*Kevin Conner is a very influential Bible teacher who came out of the Latter Rain and who has taken the best of these new ideas and blended them with the more traditional hermeneutics. His approach has influenced such leading ministers as T.D. Jakes. Conner is in fact part of a larger movement known as MFI which represents perhaps the most theologically solid group to directly emerge from the Latter Rain. *David Schoch was a leader associated with this branch of the Latter Rain. The church he led is now known as “City At the Cross” in Long Beach, CA. They have a helpful article here  *Wade Taylor came out of the Latter Rain, and was mentor to Robin McMillan, pastor of the lead fellowship of Rick Joyner’s MorningStar Ministry, which itself is very reflective of a Latter Rain ideal. *Glenn Ewing and his son Robert Ewing from Waco, Texas. Among others, the Ewings trained Jim Laffoon, leading prophet for Every Nation. *John Robert Stevens and his movement “The Walk” are an example of a ministry which emerged from the Latter Rain but became cultish. Royal Cronquist was another well known leader in this group. Influential charismatic Francis Frangipane came out of Stevens’ ministry, leaving before it turned in a cult-like direction. *Sam Fife and his movement “The Move” are another example of a cultish movement which was associated with the Latter Rain *Bill Britton teaching about Jesus as a “sample” or “example” son is connected to the Manifested Sons of God Theology which was taken to theological extremes. *Maranatha Campus Ministries, an outreach to college and university campuses, was accused of being a cult because of its highly authoritarian structure. It dissolved in 1989, and many of its leaders regrouped later in the 1990s to form what is now Every Nation. *Bishop Bill Hamon from Santa Rosa Beach, Florida. Hamon has been very influential in the Charismatic movement, including being featured on the cover of Charisma Magazine. *Dr. Kelley Varner from South Africa has a teaching ministry which is Latter Rain based. *Charles Schmitt, pastor of the large Immannuel’s Church in Silver Spring, MD, was spent time in the Latter Rain. *Elim Bible Institute in New York was the center of much Latter Rain activity. *Portland Bible College, where Conner formerly taught, is another example of a Latter Rain influenced school. *Pincrest Bible School in upstate New York. Founded by Wade Taylor and Bill Britton *Destiny Image Publications, while founded long after the Latter Rain, prints sympathetic titles by Joyner, Hamon, Taylor and others. As the list above demonstrates, the movement itself should be distinguished from those whom it ultimately influenced. Some branches of the movement ultimately led to cult like groups, some parts of the movement remained orthodox and also true to Latter Rain ideal, and other parts of the movement moderated the doctrine and ultimately had positive effects on the Charismatic and Pentecostal churches at large. With time however, the Charismatic and Pentecostal movements, while rejecting the more extreme elements of the theology, have been greatly influenced by other aspects such as the “fivefold” ministry and the laying on of hands. More recently, it has been those from Fundamentalist circles who have been the most severe critics of the Latter Rain, and have use various loose connections to the movement to paint everyone associated with a negative brush. The Latter Rain brought in a new focus on the spiritual elements of Christianity including personal prophecy and typological interpretation of Scripture. The term “Latter Rain” stems from Bible passages as Jeremiah 3:3 and 5:2, Joel 2:23, Hosea 6:3, Zechariah 10:1, and James 5:7. The idea of a “Latter Rain” was not new to the movement, but in fact was present from the earliest days of Pentecostalism, who believed at the time that return of speaking in tongues and the Baptism of the Holy Spirit marked the “Latter Rain” of God’s Spirit, near the end of history. It is difficult to communicate the Latter Rain through reference to doctrine alone, because its most distinctive element is its spiritual atmosphere. Once one understands this basic point, it is easy to identify within the Pentecostal movement who has been impacted by the Latter Rain, and to what degree. Latter Rain proponents saw Pentecostalism as very dry in the post-war period, and in danger of slipping into a dry or mental formalism like many of their evangelical peers. When the Latter Rain hit the dryness was replaced with an almost hyper-spirituality, and the various doctrines lined up this basic idea. * The latter rain. The movement derives its name from its interpretation of Joel 2:23. The outpouring of the Holy Spirit on Pentecost had been the “former rain” that established the Church, but the current “move” of the Spirit was the “latter rain” that would bring the Church’s work to completion, and culminate in the Second Coming of Jesus Christ, which was imminent. Although this doctrine in itself had been around since Parham and the early Pentecostals, the Latter Rain broke with the dispensationalism which had become entrenched in Pentecostalism. Whereas dispensationalism is a pessimistic premillennialism, the Latter Rain emphasized victory. This led to various expressions of victorious minded premillennialism and ultimately postmillennialism. Rather than just try and save a few souls before rise of the anti-Christ, the Latter Rain emphasized the Church as overcoming and victorious. This shift alone is extremely significant and can be seen behind the Word of Faith movement, as well as most branches of the Charismatic movement. * Christian Unity. A major theme of the Latter Rain was unity among the believers, in the church service, in the geographic region, and at large. They taught that God saw the church organized not into denominational camps, but along geographical lines. They expected that in the coming last days, the various Christian denominations would dissolve, and the true church would coalesce into citywide churches under the leadership of the newly-restored apostles and prophets. This theme was recurrent among the Kansas City Prophets of the 1980s. * Laying on of hands. Unlike mainstream Pentecostalism, which holds that the baptism of the Holy Spirit usually comes after prolonged “tarrying” or waiting for the Spirit, the Latter Rain movement taught that the baptism of the Holy Spirit and the gifts of the Holy Spirit can be imparted on one believer by another through the laying on of hands. This impartation was not given to the body at large, but to specifically selected or qualified leaders. * The Manifest(ed) Sons of God. Some leaders of the Latter Rain movement taught that as the end of the age approached, a select group of “overcomers” would arise within the Church. These Manifest Sons of God would receive the “spiritual bodies” mentioned in 1 Corinthians 15. They would become immortal, and receive a number of divine gifts, including the ability to change their physical appearance, to speak any language, to teleport from place to place, and to perform divine healings and other miracles. They would complete the Great Commission, spreading the gospel throughout the world, and at last usher in the millennial reign of Christ. The really Bad Alliance , Evangelical churches..
Jesus said we should be gentle as doves and wise as serpents. Christians are doing a horrible job of being wise, at variance with this solemn commandment. We need to be aware that the emergent church movement is completely out of keeping with biblical principles and is ungodly. This is why we have liberal mega-churches gobbling up small defenseless churches that are still true to the gospel of Jesus. I have warned elsewhere that almost all denominations, including those purporting to be “conservative,” are part of this emergent church movement and are slowly taking over the true church. We are thus returning to the situation in the Europe that we escaped from to avoid persecution — where the State church demanded allegiance to it. We are on our way to a state church here in America. Beware! It will be the end of religious freedom and the beginning of tyranny right here under our noses. On the heels of the C&MA Headquarters being sued for stealing $18,000 bank account and $650,000 church property of a Chinese church in Colorado Springs, and more recently a Vietnamese Boat People Church, in Long Beach California, the Eastern Pennsylvania District of the C&MA as now hijacked another church. This time in Reedsville, Pennsylvania, spearheaded by Wayne Spriggs, District Director, who has a history of threatening people. The Christian and Missionary Alliance has seized another church, its parsonage and its bank account, this time by the hands of Wayne Spriggs, District Superintendent of the Eastern Pennsylvania District of the Christian and Missionary Alliance and its District Executive Committee (DEXCOM). A disgruntled adherent from our church who was displeased when she did not get her way, called our District Superintendent, Wayne Spriggs, and insisted on a congregational meeting in an attempt to have me removed from the church and “to ruin me”. Although a congregational meeting was not held, what was to follow was a nightmare for our church adherents and myself. It was a known fact by our District Superintendent that another church in our community who was currently renting space was interested in our church property, which we feel was at the root of what was to ensue, as Wayne Spriggs is attempting to close many of our small churches to acquire money to fund start up of new mega/emergent churches which he believes is the direction our churches should be going. He is opposed to the small churches and feels that they lack the ability and resources to evangelize. Wayne Spriggs knowing that I am a man who stands for what he believes, forced my hand by demanding certain requirements to be met by myself and my church people or face closure of the church. He knew we would not agree to his terms, thus forcing my resignation. However, he did not allow us the time we asked for to prepare for closure, but came to our church one Sunday evening with the news the church would be closed, and the next day came and confiscated all financial records and immediately went to the bank and withdrew all the churches funds. Although the church was slated to close in two weeks, there was never another service held at the church and the church adherents were not notified, only to come to the church the following Sunday to find a sign on the door that there would be no services for the next two weeks. During this time, Wayne made accusations of misconduct on my part to have DEXCOM issue a decree that I was forbidden to attend prayer conference scheduled during the same week he closed the church. This was done in an attempt to keep other churches and pastors from knowing what had happened. During the months that followed, Wayne refused to allow me to attend meetings held by DECOM and LO&CC concerning my situation and when I was asked to meetings with a few of his hand chosen representatives, I was not permitted to bring anyone with me as a witness and I was denied written copies of minutes of those meetings. In addition, when I was cleared of all charges, Wayne immediately had LO&CC suspend my license for failure to follow through with his demands without following proper procedures set forth by the constitution of the C&MA. Although I had challenged him on several occasions concerning his mishandling of the proper procedures to be followed, he chose to disregard my concerns and proceeded forward with his erroneous handling of the situation. I later appealed this to our National Office who found that proper procedures were not followed and asked that he reinstate my license, which he refused to do until I wrote a letter resigning my credentials with the C&MA. During this entire ordeal, our family was going through a crisis with our daughter who was facing surgery the day after we were told the church would close for possible iliac cancer. Wayne showed no compassion for our situation, nor did he or anyone from the district ever inquire about my daughter’s condition or situation. His only concern was that we be out of the parsonage by May 31st, of which he reminded us on several occasions. He lacked any concern for the fact that we had no job, no income and limited time to find housing due to our family crisis. The Vietnamese hostile takeover story will be in an upcoming issue of District Weekly in Long Beach, California. Note this is the denominational church of Canada’s Prime Minister Stephen Harper, and if this is what his church now is like, what is he realy like himself? Sadly for many years I have had nothing bad bad experience with 4 of the Canadian Christian Missionary Alliance churches, and they had lied to me, abused me.. undeniable facts I have detailed to all the Canadian members of Parliament, and to the major Canadian News editors, and posted it on the net.. this was a church composed mostly of liars, thieves, imposters and pretenders in my witness… it is not real a Real Christian Church for sure. Posted on September 24, 2008 July 31, 2009 Categories News and poltics, Religious discussions ChristianityTags Alliance, Apostasy, Bad, Bible, C&MA, Christian Missionary Alliance, Christianity, Church, Corrupt, crooked, DEXCOM, District Executive Committee, District Superintendent Wayne Spriggs, Evangelical, god, Heresies, Heretics, Holy Spirit, Jesus, Jesus Christ, Pentecostal, politics, Stephen Harper, The Apostasy, Wayne Spriggs20 Comments on The really Bad Alliance , Evangelical churches..